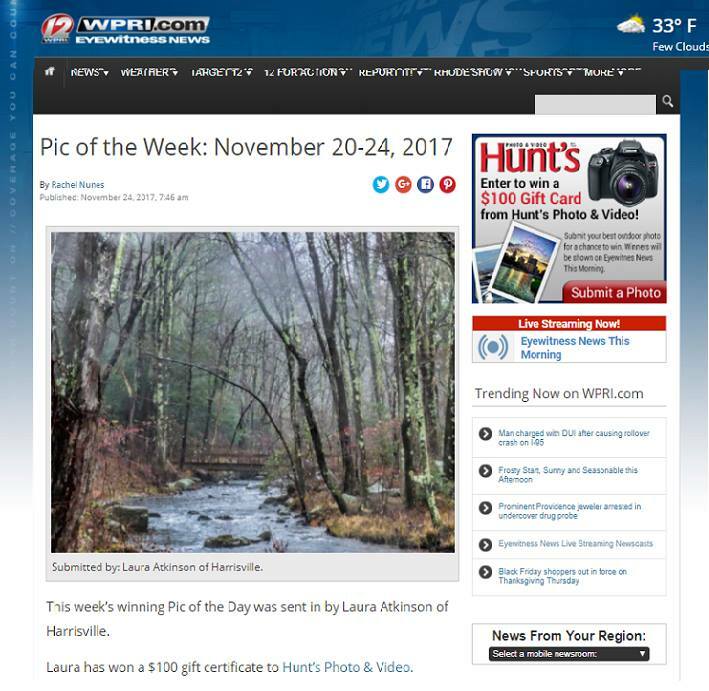 I woke up this morning to discover that I won the Photo of the Week $100 prize from local television station WPRI. It was of the pre-Thanksgiving forest / river picture that I posted on Facebook the other day. I get to treat myself to some shopping at the camera store! Wahooo!